JULIA SPENCER-FLEMING: We've been talking with some wonderful contemporary writers this week, but I think Hallowe'en deserves a special guest: one of the writers who helped create and popularize the mystery genre in this country. 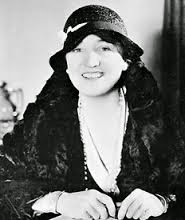 Mary Roberts Rinehart was called "the American Agatha Christie" - though, since Rinehart's first mystery was published fourteen years before THE MYSTERIOUS AFFAIR AT STYLES. 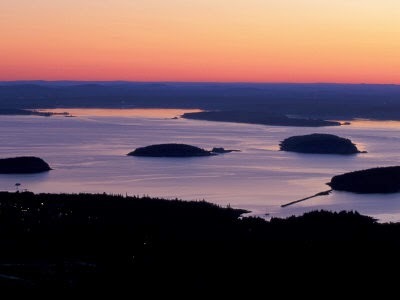 With that in mind, here's an essay I wrote a few years ago while summering (ie, away for the weekend) in Maine's famous summer destination, Bar Harbor. I’m writing this in Bar Harbor, on Mount Desert Island, one of the spots that has defined “summering in Maine” for more than a century. I have a spectacular view of Frenchman’s Bay, with the sun rising over the islands, courtesy of my perch high on a hilltop at the aptly named Wonder View Motel. I’m not the first mystery writer to have enjoyed this lofty perch view, however. The motel is built on the former summer estate of Mary Roberts Rinehart, the writer known as the American Agatha Christie. 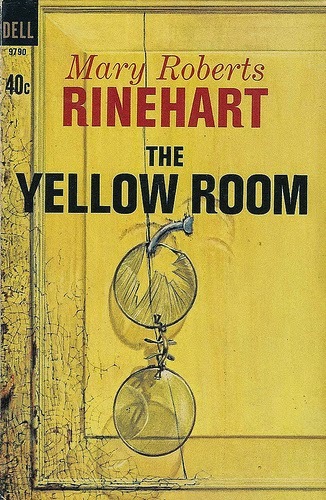 Rinehart was born in Pittsburgh in 1876. She trained as a nurse and married Dr. Stanley Marshall Rinehart after graduation. She showed an early interest in writing, publishing several short stories in her teens, but she might have had a conventional life as a wife and mother if the Rinehart family hadn’t lost most of their savings in the stock market crash of 1903. Her prodigious output of short stories, plays and novels included The Door, which introduced the phrase “The butler did it,” (I know, I thought it was English as well) and The Bat, which was made into a movie twice and is credited with inspiring the character of – you guessed it – Batman. 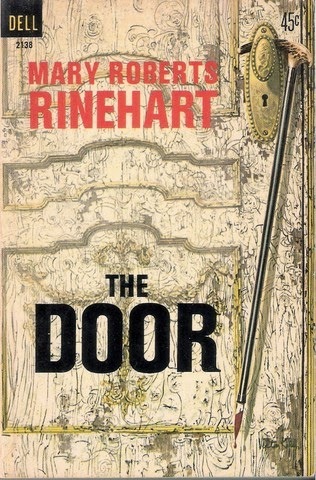 Rinehart herself led a life that might have been written for one of those sweeping sagas popular in the 1930s. She was the first female war correspondent on the Belgian front during WWI, reporting for the Saturday Evening Post. After her husband was appointed medical director of the Veterans Bureau (now the VA) she became an acclaimed hostess in the Washington, DC social world. In her late fifties she helped her two sons found the publishing firm Farrar & Rinehart and served as one of its directors. And in 1947 she broached the then-taboo subject of breast cancer by writing frankly about her illness, radical mastectomy and recovery. One day, Reyes, told Mary he was leaving. She was used to hearing this from him and paid it no mind. The next day, Mary found his wife, Peggy, a maid, crying. Peggy said Reyes had been drinking the night before and they had a fight when she refused to leave with him. Mary was reading in the library before lunch when Reyes came in. They spoke a few words when he pulled a gun from his pants pocket and pulled the trigger within point blank range of her face. Luckily, the gun misfired. He tried again and Mary leapt to her feet and ran. She entered the kitchen, Peggy, and Theodore Falkenstrom, her chauffeur, saw what was happening. Ted tackled the cook and grabbed the gun. Peggy ran to get the breathless Mary a nitroglycerine tablet and Ted went and threw the gun over a garden wall. The butler ran down the street to get help thinking he was the intended victim. As Mary was in the hall on her way to phone the police, she saw a young man standing outside the door. The boy said he was looking for a job as a gardener’s assistant. 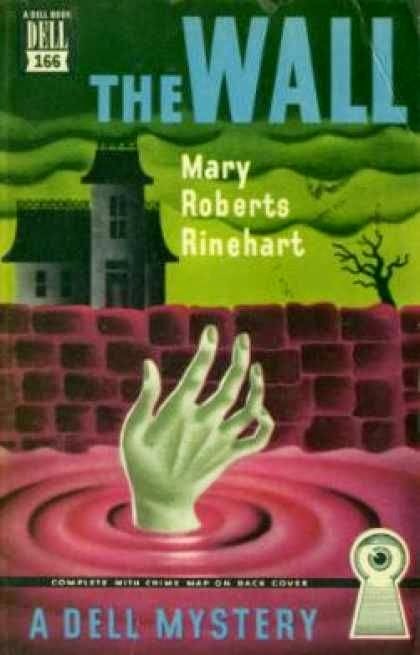 Mary Roberts Rinehart received a special Edgar Award for lifetime achievement in 1954, the year after she published her last novel, The Frightened Wife. Until her death in 1958, she summered every year in Bar Harbor. 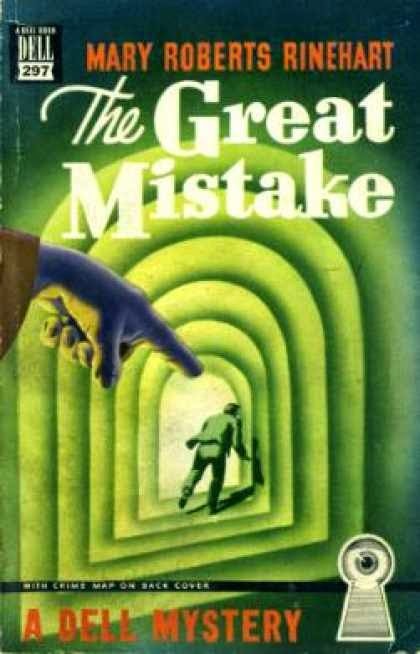 To which I say, dear readers, if it was good enough for America’s Agatha Christie, it’s good enough for me. What an amazing woman! 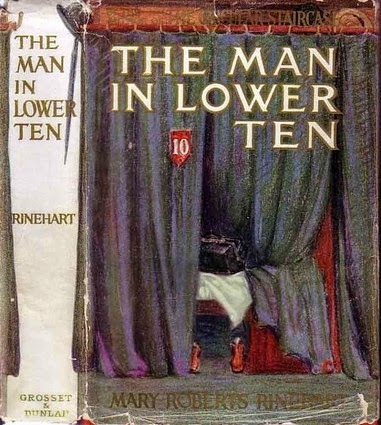 Coincidentally, I am currently reading one of Mary Roberts Reinhart's books, "The Man in Lower Ten," on my Nook. It's the classic "body found on a train" story, published in 1906 . . . . Thanks for the insight into this writer's life and career. Our SinC chapter namesake - but I confess I didn't know she originated the phrase "the butler did it." Great tale, Julia! 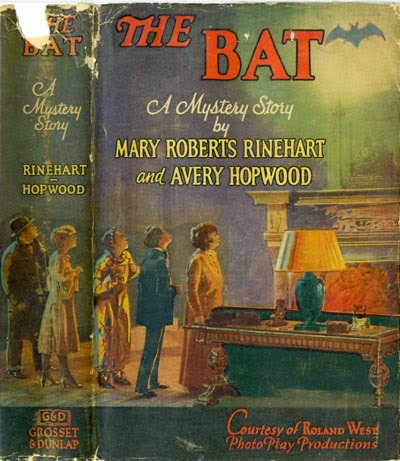 I read a bunch of Mary Roberts Reinhart's novels when I was a teenager, and love knowing her Maine connection. Thanks also for the photo of Frenchman's Bay. It got my morning off to a lovely start. I think I've read all her mysteries. I've also read - and LOVED - her "Tish" stories, about Letitia Carberry and friends. They were "elderly" (in their fifties!) very proper ladies who were always getting themselves into trouble when following Tish's lead, as Tish either tried to come up with methods of "self-improvement" or interfered in the lives of people around her, trying to "help" them. I usually take the Tish books on vacation with me. I don't remember all the details so I've probably got some of this wrong, but I believe there's a story that her son was in the military during WW I, was over in Europe, and asked for permission to go behind the lines. He was told it was too dangerous and his commanding officer asked why he wanted to go there. His response was "to visit my mother" who was of course working there! She was indeed an amazing lady, and her books stand up pretty well even today - her language and writing style are very much of her time, but her characters and stories remain vivid and enjoyable. She was the most highly paid author in the US between the turn of the century and the end of WWII - amazing when you consider her peers in popular fiction at the time included Pearl S. Buck, Zane Gray, Booth Tarkington, Edna Ferber and, of course, Margaret Mitchell. MRR was also a pioneer in what we'd today call multiple platforms; several of her most popular works began as plays, were turned into movies, and then were rewritten as novels. 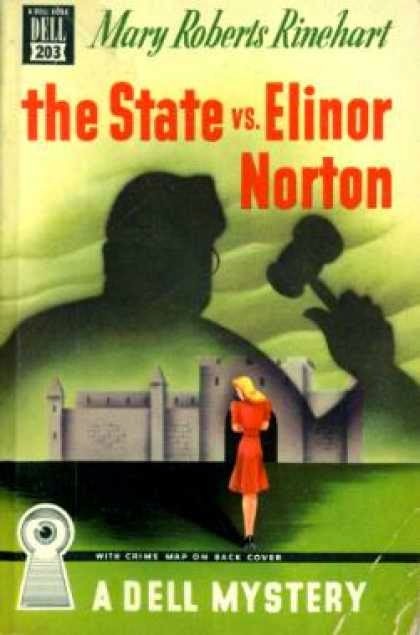 When you consider all that, and the fact that she's directly responsible for the creation of one of the most influential publishing houses in the US (Farrar, Strauss & Giroux)...well, I consider it a shame that Mystery Writers of America doesn't give the Grand Master Award retroactively. Interesting. I knew the name, but not anything about her, including that wild story. Yikes! Interestingly enough, I'm rereading a mystery novel by one of my favorite authors - Sandy Dengler. It is set at Acadia national park (also the republished e-book title, although the paperback I have from 20 years ago was title A Model Murder). What an amazing story of an amazing woman! She led such an interesting life, and then she was a successful author, too. Wow! I'm just sorry that I hadn't heard of her or read any of her books. I plan on adding something to my Kindle today of hers. I'd like to get a print copy of something, but I guess I'll have to check and see if those are available. Wonderful post today, Julia! Thanks. After writing all those stories I would think she'd have figured out to not be standing around waiting for him to try again! Bar5 Harbor is very special. I've enjoyed reading her since I was a teenager, and still enjoy picking up a story now and then, as I come across them. 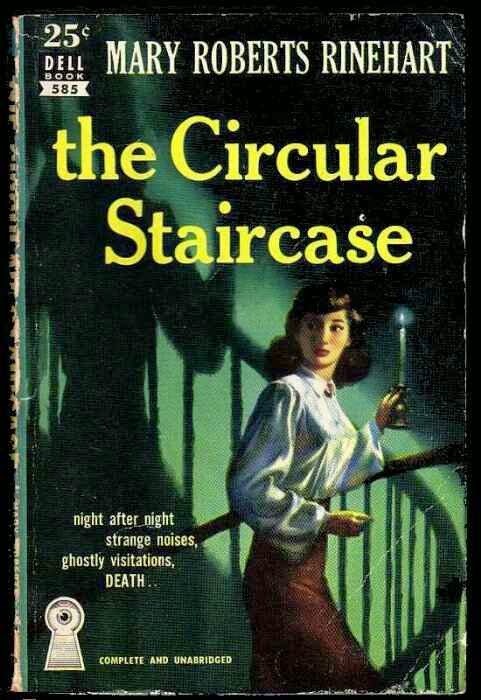 While I love historical mysteries, I also like the golden age authors as well because they were IN one of my favorite time periods. :) While MRR is on my list, right now I'm working on Ngaio Marsh, in order. So much to read, too little time. OH, my goodness, the is wonderful! And,um, I have never read any..not one..and thank to you it is time to start! I have some of her books in my library - time to revisit them. Thanks for a really inspiring post. Glad you mentioned Mary Roberts Rinehart! I read her fascinating account of her time in World War I and saw her photographs not too long ago while reading an early edition of her autobiography. Several of the 'Tish' books, and many of MRR's other books, are available as free or very low cost bundles at Amazon.com. I've just loaded the '26 Works' for $1.99 pack, and it's wonderful.